World News Society What’s wrong with having a pet? Pet-keeping is something we all engage in or at least know someone who does. On the surface it seems not only harmless but positively good. However, there is a darker side to pet-keeping and the world that surrounds it. This article weighs up some of these disadvantages so we can judge pet-keeping practices more clearly and comprehensively. A ‘pet’ is an animal that you care and provide for, and oddly enough it is something that you own (be it dog, cat, hamster, horse, or miniature pig). Ideally to have a pet is to have a jolly companion, a fellow heart to know and love, a being to gain mutual emotional and physical security with. Simply put: the pet seems happy, and so does its owner. You wave and smile to the neighbour whilst walking your dog just as they might wave and smile to you when walking their own. On the surface having a pet appears to be unquestionably a good thing – or, at least not a bad thing. However in the midst of all this it is easy to forget that there is a dark side to pet-keeping practices that often goes unrecognised. Although we might love our pets a great deal and believe that we personally take no part in the abusive practices that can occur in pet-keeping, we should take a step back and reflect on the wider picture and put our own interests alongside those of our pets. Pet breeding in almost every case is done for some kind of profit. Of course, there are those pet owners whose pets just happen to get pregnant and have litters, although it is more common for these litters to be sold for profit rather than simply given away for free. As you might imagine, it is the profit-seeking breeders that cause most of the problems. Such breeders selectively breed animals with the purpose of amplifying certain physical traits which buyers find desirable. To produce a ‘pedigree’ or a ‘pure/thorough bred’, breeders often select animals from the same family gene pool and make them breed together. This kind of inter-family breeding means that the offspring will have a greater probability of inheriting undesirable traits. What is more, with each successive generation the risk of inheriting genetic defects increases (for more info, see 1, 2, 3). Physiological and psychological problems include constricted breathing passages, an increased risk of bone cancer, tumours, and heart disease, being unable to support body weight and move comfortably, heightened aggression and other neurological and psychological disorders, skin disorders, and more. Many of these problems cause premature death, severe discomfort, and routinely require surgery to rectify their effects – a procedure in itself which causes discomfort for the animal when done frequently. This is perhaps the most endemic problem facing pet-keeping practices, largely because it is carried out on such a massive and multifaceted scale which is difficult to regulate. I am not suggesting that the people perpetuating this trade do not care about animals at all, but the bottom line is that animals in this regard are treated as commodities. Consequently, their economic value overrides other values that should also be taken into consideration. As a result, animals become mass-produced for profit. One way to keep costs down and profits up is to deny these animals such things as exercise, emotional and physical care, veterinary attention, socialisation, exploration, and more. These traders range from the more legitimate official ‘pedigree’ breeders and pet shops (whose treatment is monitored), to the more suspect ‘backyard breeders’ and ‘exotic’ foreign traders (whose treatment is harder to regulate). Harms occur in all levels of the pet trade, but the more severe harms mainly occur in the more illegitimate trading streams. Such harms include cramped and unhygienic living conditions for the animals where disease, parasitic infestation, fighting, and stunted physical and psychological development occurs through deprivation and also lack of veterinary attention. The exotic pet trade has its own particular hazards. These include hunting (which frequently causes accidental death and always causes pain), entrapment, and cramped transport conditions, as well as the socio-psychological and emotional problems resulting from separation from kin and familiar natural environments. Although many people care for their pets for the duration of their pet’s life and provide shelter for them, there are a significant number of animals which are ex-pets or never have been pets which do not have access to such shelter. Pets are highly domesticated and have become this way through thousands of years of symbiotic evolution alongside humans. When pets are made homeless they are left unable to cope with their new surroundings as they have adapted to living in a very different environment. As a result they no longer have access to food, shelter, water, or care which otherwise were provided by their owners. When a pet is made homeless it means that it is more prone to disease, fighting, starvation, dehydration, and accidental death; as well as being more open to the elements which can be deadly in themselves. Besides the relatively small number of animals which are captured and put into animal shelters, many more are captured and soon euthanized due to lack of such accommodation. This is a result of overpopulation. As PETA point out, “At any given time, there are an estimated 100,000 dogs – and countless cats – without homes in the UK”. This is bolstered by the fact that homeless animals breed more frequently than their housed counterparts. Although many shelters are equipped with caring volunteers and staff, the sheer number of homeless animals means that many shelters simply don’t have enough space. Shelters are therefore pressured to ‘make room’ by euthanizing anti-social or diseased animals, as well as those healthy ones that don’t seem to interest potential new owners. In most cases euthanization is painless and done in the most humane way possible, however there are some shelters which euthanize in more rudimentary ways, such as (WARNING: VERY TRAUMATIC VIDEO) gassing. In the US many animal shelters end up donating unwanted animals to laboratories and other scientific institutions for testing. Some US animal shelters also sell unwanted animals to dealers who themselves sell them to laboratories. All these matters are amplified and perpetuated by the constant demand for new pets, when there already are many, many unwanted ones. As the animal rights philosopher Gary Francione argues, pets have property status. Pet owners have a legal right of ownership over their pets, they can exercise a great degree of liberty with what they can do to their pet within the bounds of ‘humane’ treatment. As with our cars, we can take better or worse care of them- as long as we meet certain guidelines. This means that a pet’s interests can be viewed as an economic inconvenience that we can (in most cases) choose to ignore. If your pet hamster, for example, is sick the veterinary costs of treating it can easily exceed the price of buying a completely new hamster. This could mean that in reality there can be no true equality of interests between pet owners and their pets, as the stakes are predetermined from the outset. Many owners have cosmetic alterations performed on their pet. These involve ear cropping, tail docking, declawing (actually a form of amputation of part of the bone in the foot), and devocalization (debarking). These procedures are done for owner convenience, for such simple reasons as not to damage furniture, irritate neighbours, or because it “looks good”. Some of the long-term effects of declawing cats include skin and bladder problems, and the gradual weakening of legs, shoulders, and back muscles. The effects of tail docking include underdeveloped pelvic musculature not to mention acute pain. All such procedures run the risk of more general complications from surgery, such as infection and distress which are heightened in animals that cannot understand what has happened to them and do not stop fussing the wound. A simple and effective way of avoiding many of the problems raised in this article is to spay and neuter your pet. These routine procedures mean that the overpopulation crisis will be solved and the consequent effects largely avoided. Spaying can also be a method of decreasing the chances of certain cancers, such as uterine and mammary cancers in female animals. 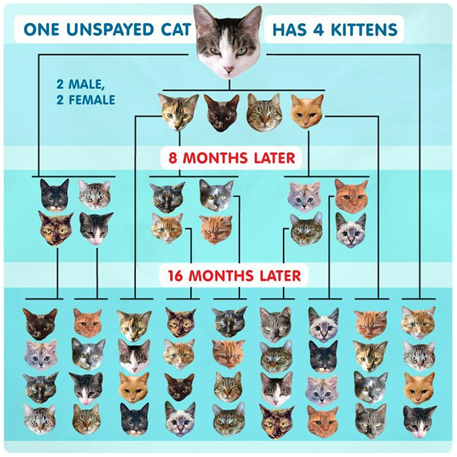 As for males, spaying means that they are less likely fight, or develop testicular or prostate cancers. Also, since the animal is less likely to breed and come into contact with another animal’s fluids, they less exposed to conditions such as feline AIDS and leukaemia (in the case of cats). See here for more information. A more extreme option is the eventual phasing out and abolition of pets and pet-keeping practices. I myself over time have become more inclined to this conclusion, although I understand how drastic it might sound and that others may disagree. This is absolutely not to say that we shouldn’t take care of the animals who already exist today. I do know for certain that we should provide homes for all homeless pets and ensure that they lead good lives, as well as take care of the pets we already own. In sum, it seems plausible to argue that the ‘positives’ of keeping pets, which are mainly owner-satisfaction and the small number of relatively well-treated pets in existence, do seem to be somewhat outweighed by the ‘negatives’ when all considerations are accounted for. 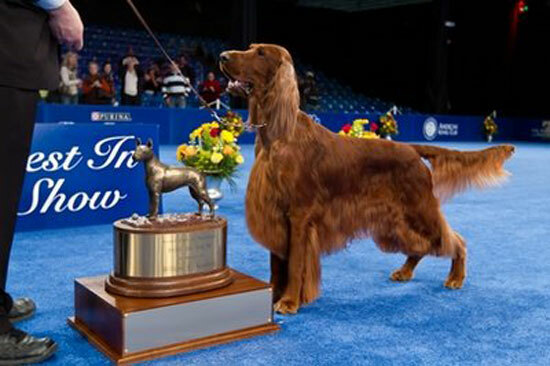 So, does the practice of pet-keeping and all that it entails produce more good than bad? As a blossoming Yorkshire rose, I've spent the recent years of my life in the far north, middle, and south of the fair United Kingdom. The past four years I spent studying for an undergraduate and postgraduate degree mainly in philosophy but with some sociology. I spend the bulk of my time thinking about animal ethics, digging my mitts into painting, reading and trying to write, as well as putting my lips to beer with friends (not the same beer). There is more to me, but there's the outline. Having recently moved to London, I am trying to do well without getting too much Big Smoke in my eyes. I try to stay open to others' ideas so if you're up for a chat or discussion, then it'd be my pleasure.